This recipe is mostly protein and fat and has a moderate amount of carbohydrates. Serve it with a half serving of grains or other complex carbohydrate to keep it balanced and stabilize your blood sugar. Season salmon with bbq seasoning and place on a baking sheet lined with aluminum foil sprayed with cooking spray. 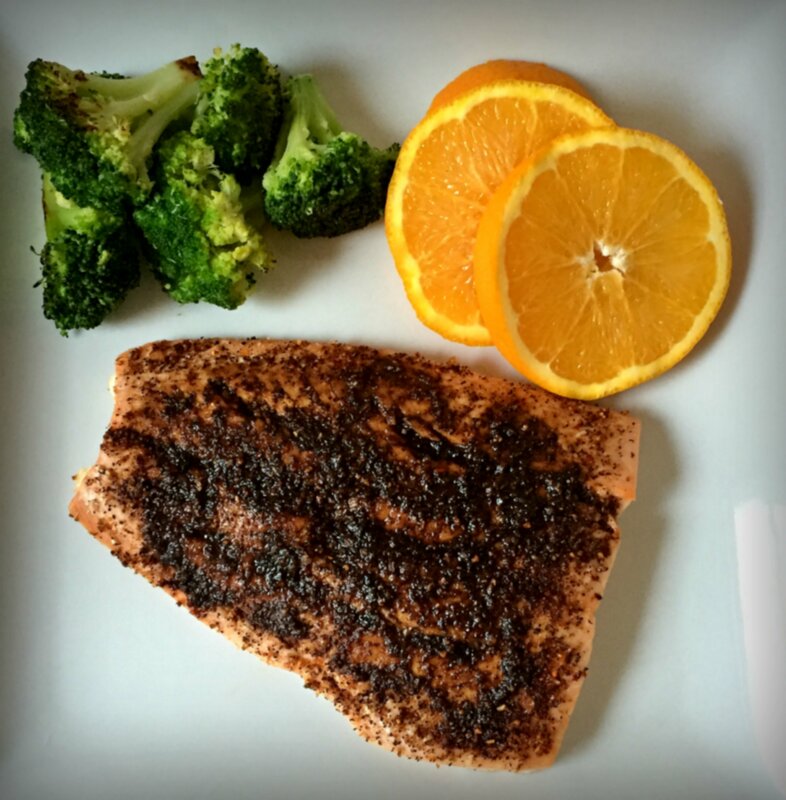 While salmon is baking, prepare balsamic glaze. Pour balsamic and orange juice in a small pot. Bring to a boil then turn down to medium heat and allow to simmer. Keep simmering until liquid is reduced by half (about 1/3 of a cup) and has slightly thickened. Remove from heat and allow to sit for 5 minutes. Remove salmon from oven and top with glaze. Serve with a side of citrus-roasted broccoli if desired.